The OHADAC project is a project of legal integration in the Caribbean region, whose philosophy is similar to the OHADA’s in West Africa. The objective of the project is to advance legal and judicial integration of the Caribbean in order to ensure that a harmonized legal framework applies for the activities of Caribbean businesses. It involves 33 States, extending to all of the Caribbean Island States but also coastal regions including Mexico, Venezuela, Colombia and Costa Rica. 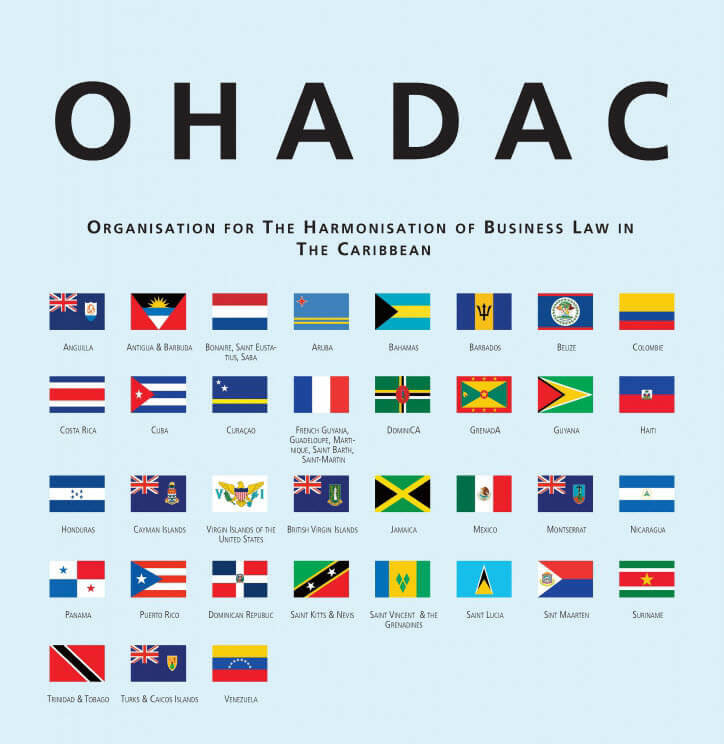 More specifically, the goal of the OHADAC project is twofold: (i) promoting legislative harmonisation by proposing to States model legislation in the field of business law and (ii) promoting arbitration and mediation in the Caribbean region, through the opening of an arbitration and mediation centre, the OHADAC Regional Centre for Arbitration. UNCITRAL has been following the work of OHADAC for several years. Representatives of UNCITRAL had already pointed out at the 2015 Pointe-à-Pitre Congress the importance of legal harmonisation work at a regional level, which was carried out during the first phase of the project thanks to the help of Europe, through the implementation of the Interreg program in the Caribbean.